Isometric exercise refers to an exercise that uses an static muscle contraction. This means that the muscle group being worked is under tension and producing a contraction but the muscle doesn’t change length. Therefore the joints involved do not move. Some actions within a wide variety of sports require isometric or static strength. Examples include climbing, mountain biking and motocross (grip and upper body strength), wrestling, skiing (static strength required to stabilise the upper and lower body), and gymnastics. What is submaximal isometric muscle action? Isometric exercises can be performed with submaximal muscle action. Such as holding a weight out in front of you. The force used to hold the weight still is not maximal as this would lift the weight further causing movement and a change in the muscle length and joint angle. Static strength training can also involve maximal muscle actions and examples here include pushing against a wall or heavy weight that you can not move no matter how hard you try. Both submaximal and maximal isometric muscle actions can increase isometric strength and stimulate muscle growth. Maximal isometric exercises are more often used for strength and conditioning and submaximal exercises are more often used in rehabilitation. One of the most well know isometric exercises is the plank. In a plank, your abdominals, quads, shoulders and scapula muscles are all working without producing any movement. Although isometric exercises can increase strength they are not the most suitable form of resistance training for dynamic actions such as running, jumping or sports. Most sports and athletic movements are dynamic in nature, performed at maximal speed against little or no external resistance. Isometric exercises do not improve your ability to move quickly or dynamically and only strengthen the muscle at the angle at which it is trained. So why should isometric exercises be apart of your exercise routine? 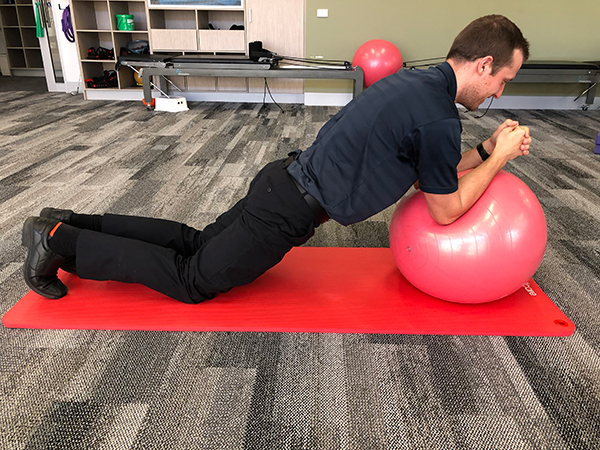 In physiotherapy we often use isometrics in rehabilitation because you can gain strength in a desired muscle without putting too much stress on an injured muscle or joint. Isometric exercise is also great if you are just starting strength training as it carries far less risk of injury than dynamic exercises. 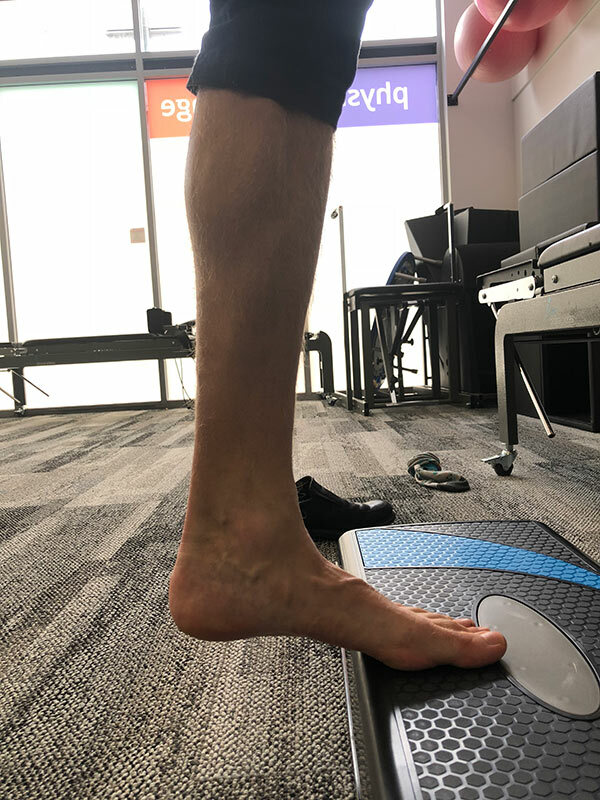 If you are currently recovering from a injury and don’t want to loose strength in that area then isometrics can be a great choice as they will place the joint under little to no stress, whilst still producing a stimulus to the muscle. Isometrics can cause an inhibition of pain in a tendon that suffers from tendinopathy. This is one of the biggest reasons that we as physiotherapists use isometric exercises in our rehabilitation of clients. If a tendon experiences too much load or stress and not enough recovery then it can fall into a painful cycle of disrepair and degeneration. Common tendinopathies include the Achilles, Rotator Cuff (shoulder) or Patella tendinopathies. By exposing a painful tendon to an isometric contraction the tendon can down regulate its pain response and stimulate the healing process. 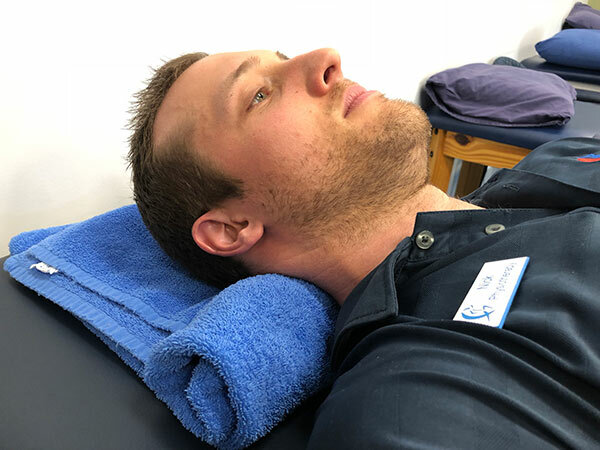 Isometric exercises can also to help reduce pain in whiplash injuries of the neck, and reduce the severity of chronic lower back pain. 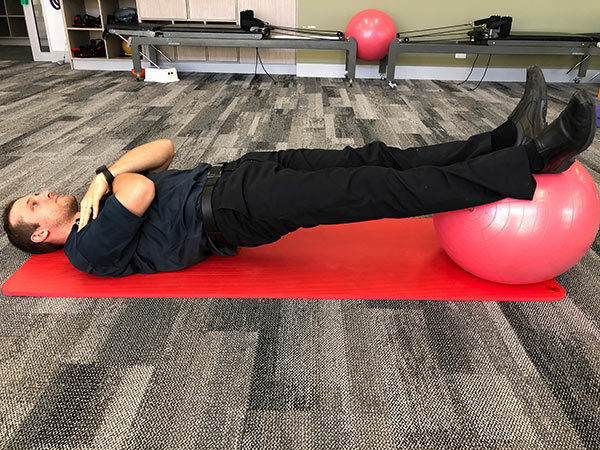 Your physiotherapist or doctor may recommend performing some of these exercises after a motor vehicle accident or lower back injury. Another benefit of isometric exercises is that they provide you with the highest amount of muscle activation. This refers to your muscle’s recruitment of motor units (a group of muscle cells). The more motor units you can recruit, the stronger your muscles will be. The strength gains you see from the first few weeks of starting strength training is not your muscles growing bigger but their ability to recruit more muscle cells within the muscle improves. Recent studies have shown that maximal isometric exercises recruit up to 5% more of these motor units than any other type of exercise. In other words, intense isometric exercises utilise about 95 percent of your muscles, as opposed to about 88 – 90 percent that other exercises utilise. The Journal of the American Heart Association published a paper in 2013 that showed that isometric resistance training has been shown to reduce high blood pressure. Other forms of exercise such as aerobic or resistance training also reduce blood pressure but isometric exercises were shown to have a greater effect. Many isometric exercises use just your body weight. This makes then more convenient and easier to perform wherever you are. 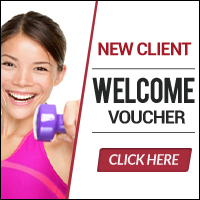 The use of Therabands, a pull up bar, dumbbells and other equipment is helpful but not a necessity. Therefore, no excuses! The less resistance there is to do something means the more likely we are to do it. Starting Position: Lie on your back on the ground or in your bed, Place a rolled up towel under your neck. Movement: Imagine lengthening the back of your neck, and nodding your chin (give yourself a double chin). make sure you are not lifting your head off the towel as this will use the larger muscles in your neck. Hold this contraction for 10-30 seconds. Starting Position: Stand next to a wall or door frame. Have your arm by your side and elbow bent to 90 degrees and the back of your fist on the wall. 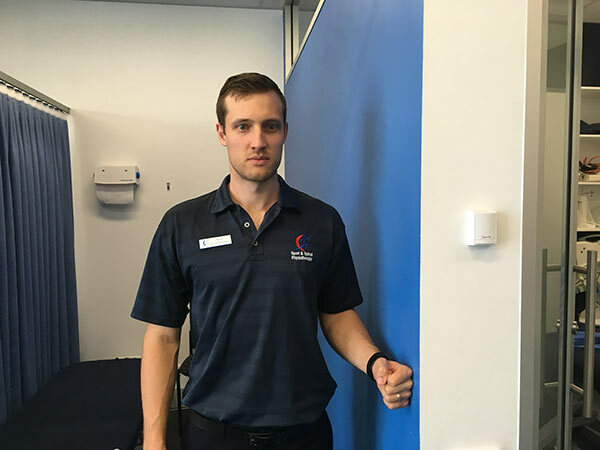 Movement: Push your hand into the wall without moving your arm away from your side. Ensure that you keep your chest up and shoulder blades squeezed back. Keep your wrist straight throughout the movement. 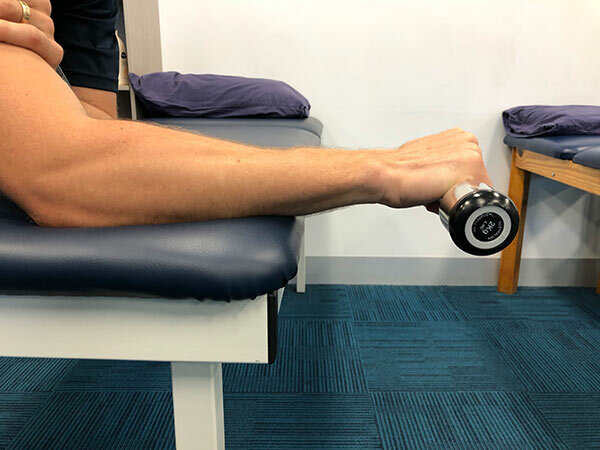 Purpose: Wrist strengthening, reduce pain from wrist extensor or tennis elbow injury. Starting Position: Sit down next to a table or bench and rest your forearm on the table. Your elbow should be close to 90 degrees and your wrist hanging off the edge of the table. Make sure that your thumb is placed on top of the weight not underneath. Movement: Hold the weight with your wrist in a straight position. Make sure your wrist is not deviated left or right and that it remains in this neutral position. Starting Position: Place your knees and feet on the ground and your forearms on a swissball. Movement: Tilt your pelvis backwards (think, tail between legs) and maintain this position whilst moving your hips forward until your shoulders, hips and knees are in a straight line. Don’t let your bum poke out! For added difficulty move the ball further away from you whilst still maintaining good spinal position. Starting Position: Lie on your back on the ground and place both of your feet om top of the swissbal with your legs straight. Movement: 1. Draw your 2 hip bones together and up, activating your lower abdominals and pelvic floor muscles. Hollow your abdominals. 2. Lift your bottom up until your shoulders, hips and feet are in a straight line. Starting Position: Stand with your back against the wall and your feet shoulder width apart and roughly 50cm out from the wall. Make sure your feet are facing forwards. Starting Position: Stand on the edge of a step so only the front of your foot is touching. Let your other leg hang behind so that it’s not touching the ground throughout the movement. Movement: Lift your heel slightly above the height of the step but not all the way up and hold this position. 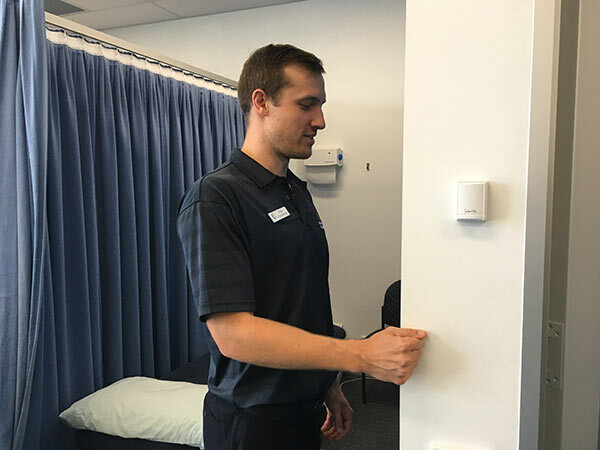 Nick graduated from the University of Canberra with a Masters of Physiotherapy after completing his Bachelors in Applied Science in Human Biology. 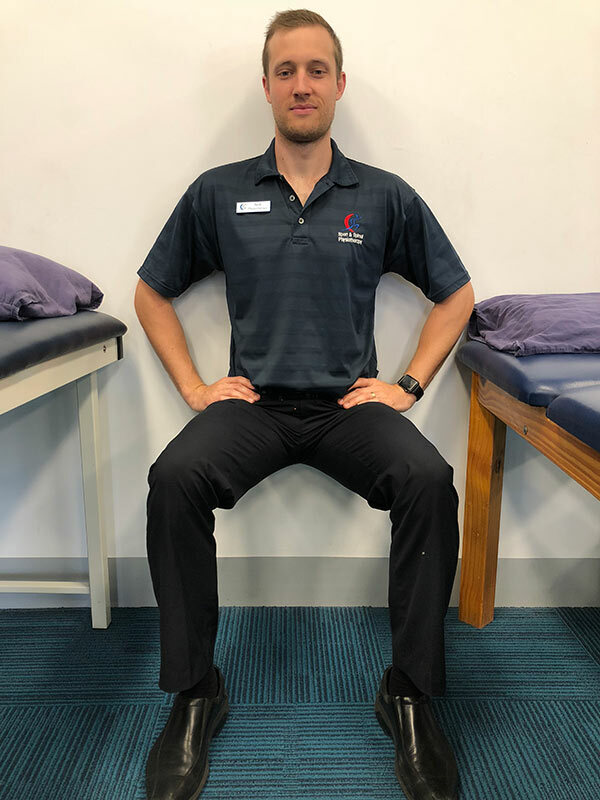 Nick’s special interests include rehabilitation from sporting injures, management of work related injuries and functional strength and conditioning for injury prevention. Nick grew up playing basketball and has represented the ACT playing with the ACT Academy of Sport and the Canberra Gunners Academy.